Colin Turkington (Team BMW) is the 2018 British touring car champion! The Northern Irishman captured his third BTCC title in a career even before the last race of season’s finale at Brands Hatch Grand Prix Circuit. Turkington came to Brands Hatch with a 34-point lead ahead of Tom Ingram. They were far from the top in the first race, Turkington 12th and Ingram 14th. Then, in the second race, Turkington was without points while Ingram finished fourth, what was not enough for Toyota Avensis driver to stay in the title fight. 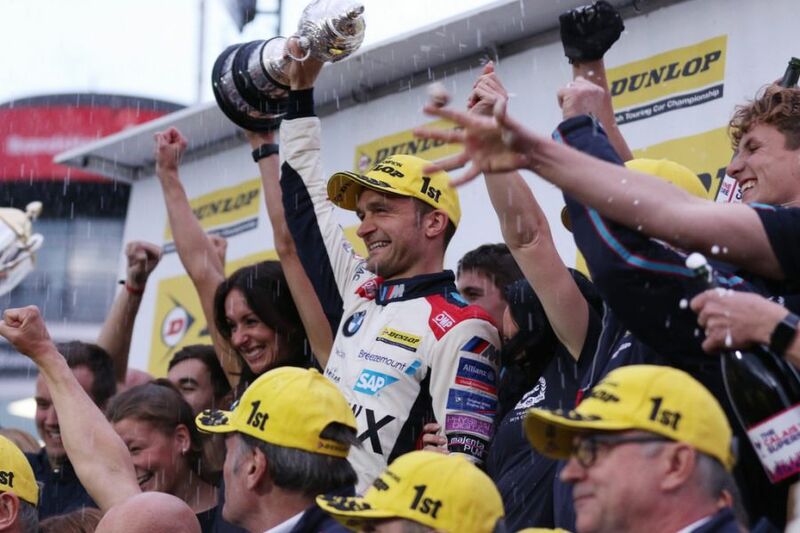 Turkington celebrated the championship title after the second race and then entered the last race without a pressure, finishing just 23rd in the #2 BMW 125i M Sport. In the shadow of the championship fight, Dan Cammish (Halfords Yuasa Racing) scored his maiden BTCC victory in the first race and then added one more win in the second race. Cammish shared the Race 1 podium with teammate Matt Neal and Brett Smith (Eurotech Racing). In the second race, Cammish and Neal scored one more 1-2 victory for Halfords Yuasa Racing. The third man on a podium was Andrew Jordan (BMW Pirtek Racing). In the last race of the season, the 2017 BTCC champion Ashley Sutton (Team BMR, Subaru Levorg) closed a season with his sixth win of the year. He shared a podium with Josh Cook (Power Maxed Racing, Opel Astra) and Rob Austin (Duo Motorsport with HMS Racing, Alfa Romeo Giulietta).